The mill that custom-produces the spall arrest material for our version 4.4.1 Spall Guards is behind by about 90-120 days. Please email us to get on a notification list for when our guards are available for purchase again. Use steel rifle plates? Heartbreak of Strike Face Splash/Spall got ya down? Look no further! The D-Rmorgear “Plate Fronters/Spall Guards” are an engineered solution over 7 years in the making. Many (and continuing!) fruitless attempts have been made to replicate them (imitation being the highest form of flattery! ), but unless they are made with the material I have had CUSTOM MILLED for me, to the design I have perfected, they won’t work. Just add weight to your plate, and remove weight from your wallet. Some makers actually do have video posted that shows their product FAILING to stop frag exiting from the sides of the plate (while proudly stating that no frag came directly back towards the source of the projectile..). Just a quick reminder to them: the tender bits, such as your face, throat, arms and hands, will be found PERPENDICULAR to the face of the plate. Keeping the strike face of a frag shield looking pretty does nothing for your personal safety. Others have created frag guards that essentially double, triple, or even quadruple the thickness of the steel plates, while adding half again the weight of the plate itself. If I encase a steel plate inside a block of epoxy or UHMWPE, I guarantee no fragmentation will exit. Some solutions add MORE steel to a steel plate. These are brute-force “solutions” that completely negate one of the biggest advantages of steel plates: THINNESS. Please do your homework before deciding on a spall solution. -Shown to stop 95-98% of perpendicular bullet splash/frag RELIABLY, including edge hits. If you don’t see it here, chances are it can still be built for you. Any color you like as long as it’s Coyote Brown (“It makes everything tactical”) Extremely durable 1000 Denier Cordura Nylon, proprietary/specially custom manufactured/engineered Kevlar 129 splash defeat material, 69 Dtex Mil-spec thread, Mil-spec hook and loop fastening, all Berry Amendment compliant. -Upgrade to lightweight Fire Retardant 500D Cordura Outer Shell in Coyote Brown OR Black (Black colorway added 11-19-2018), add 10% to list prices below. -Upgrade to 500D Multicam or ATACS Cordura (Multicam and ATACS colorways added 11-19-2018), add 5% to list prices below. Larger or smaller plates, please inquire. NOTE: As with all currently available front-face frag/splash mitigation options, D-Rmor Gear Spall Guards do not completely remove the risk of frag splash. 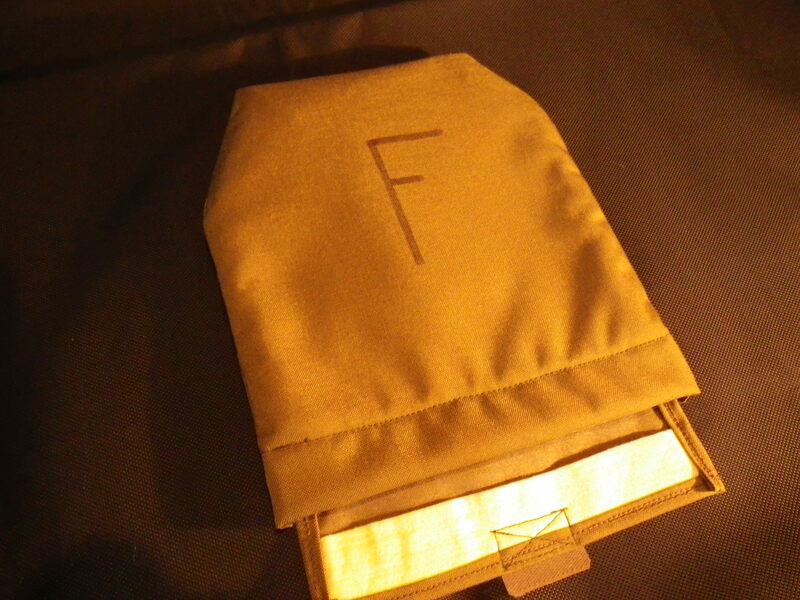 They must be used INSIDE a plate carrier, and must be installed correctly. Like all extant technologies, their effectiveness will diminish with each subsequent hit. 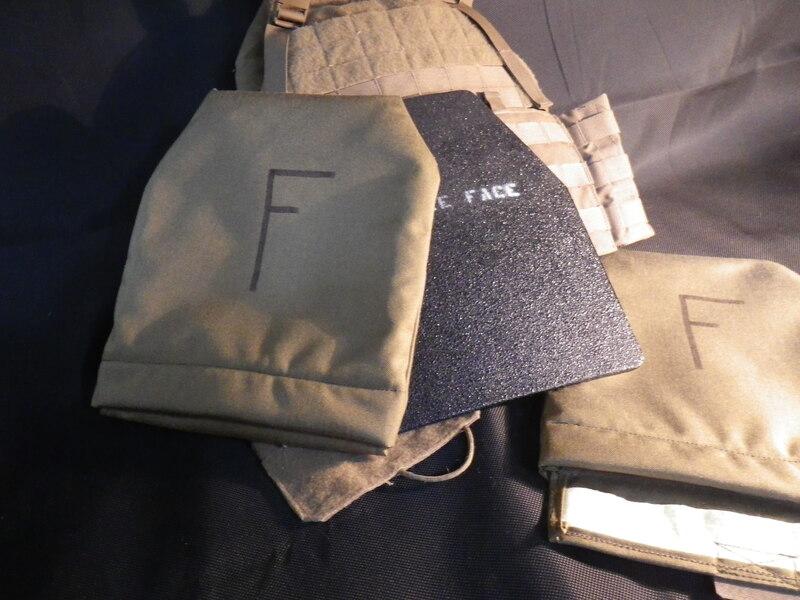 Rigorous testing has shown that D-Rmor Gear Spall Guards will significantly reduce the amount of splash/frag to the upper body/face and sides, resulting from rounds impacting the front face of steel rifle plates, but CANNOT and DO NOT claim that they are a perfect solution (there are none, currently). A Great Product! I needed spall protection for my custom AR500 plates, so I sent a template and in short order had pair of spall guards. The craftsman ship was top notch, the design completely envelopes the plate and the fit was perfect, plus they weight next to nothing. The service and communication was excellent…a great experience. I needed spall guards for side plates ordered many years ago. D-R advertised on a frequented forum, so I contacted him. Great communication and the guards fit like a glove. He even contacted me after the sale to ensure my satisfaction. These spall guards are tough and they fit like a tight glove. 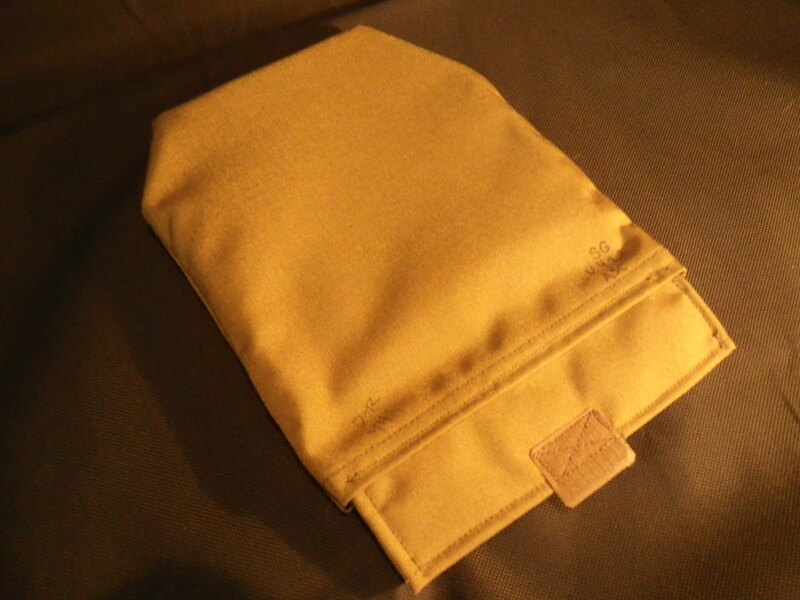 The stitching is military tough, and you can really feel the quality when you handle them. This is a very good value. Buy with confidence. how much do these add to the dimensions of a plate? i’m looking at some low-profile carriers that “fit up to 10×12 plates” but i’m worried this will add to much bulk to the plates and they won’t fit in the carrier. any chance of that or am i being too paranoid? In terms of thickness, approximately 2.5mm front/rear, and approximately 4-5mm along the edges. Most carriers are sized to accommodate thick UHMWPE plates in the dimension stated, and steel plates with spall guards are still far less bulky than normal UHMWPE plates. How about a MOLLE Pocket in a favorite camo that is attachable to the carrier???? Geting a plate in and out of the carrier is a pain in many models. You you actually have to doff the carrier. I think this violates the KISS Principle and puts your Azz at risk. Pluse the Crey chassis has been to shown to be a bunch more motion freindly as the carrier is fitted closer to the body. Not saying we need the rigid chassis but less cumbersome is always a help. Very high quality and great workmanship. Fits the Patriot Plates really well. Will recommend and use for future needs. Mistakenly purchased plates without spall guards. Stumbled across this website through YouTube and everyone says they’re great. Made my purchase and shortly after the seller contacted me through email to confirm the purchase. The seller kept me updated throughout the process. When the guards arrived I could immediately tell that they are made with quality materials. The workmanship is top notch as well. Extremely satisfied with my purchase and honestly from what I’ve learned these guards will out perform the spray on guards that come with most plates.